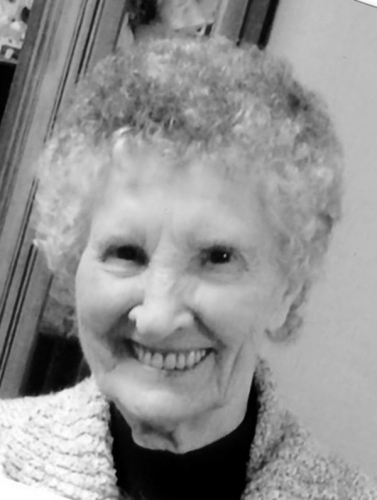 mom KATHLEEN MARIE MCLEAN June 25, 1926- December 31, 2017 With great sadness, with her family by her side, we announce the passing of our mother, grandmother, great grandmother and friend, Kathleen Marie McLean. She is survived by her children Bruce (Benita), Sheryl (Garth), John (Shelley) and Debby. Seven grandchildren, eight great grandchildren, and her sister Dolly Brede. She is predeceased by her husband Robert, son Donald and granddaughter Trina. She will always be remembered for her beautiful smile and her everloving warm heart. She had a love for baking and cooking and a talented green thumb. She was a proud CWL member for 50 years. In lieu of flowers donations to the Prince George Hospice Society would be greatly appreciated. A prayer service will be held Friday, January 5, 2018 at 7:00pm - 8:00pm at the Prince George Funeral Service 1014 Douglas St., Prince George. Funeral Service will be held Saturday, January 6, 2018 at 10:30am at St. Mary's Catholic Church, 1088 Gillett St., Prince George.